Check out these 10 child entrepreneurs that are probably already way more successful than you are — and remember what you were doing at their age. Think back: what were you doing when you were 11 years old? Probably eating snacks, doing homework, and watching TV. These 10 kids will probably put your lazy childhood to shame. From founding their own companies to becoming the youngest executive producer of all time, keep scrolling to find a little inspiration to follow your own dreams, whether you're 15 or 55. Ryan, 7, of the Ryan ToysReview channel on YouTube, made $22 million in a single year. Ryan, 7, might be one of the richest kindergarteners of all time. 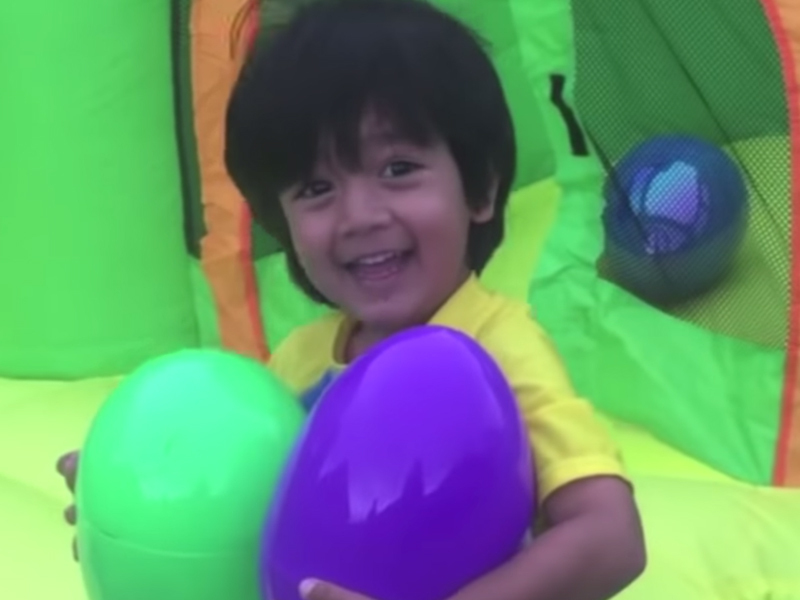 Ryan, whose last name is a secret kept by his parents for security reasons, made $22 million dollars in a single year due to the mega-success of his YouTube channel Ryan ToysReview. In fact, he had the highest-earning YouTube account of 2018. As you might have guessed, Ryan's entire channel is dedicated to him playing with and reviewing new toys. His audience, which is comprised of 18 million subscribers, can now watch him play, learn the alphabet, and even sing the inescapable "Baby Shark" song. One of his videos is nearing 2 billion views. 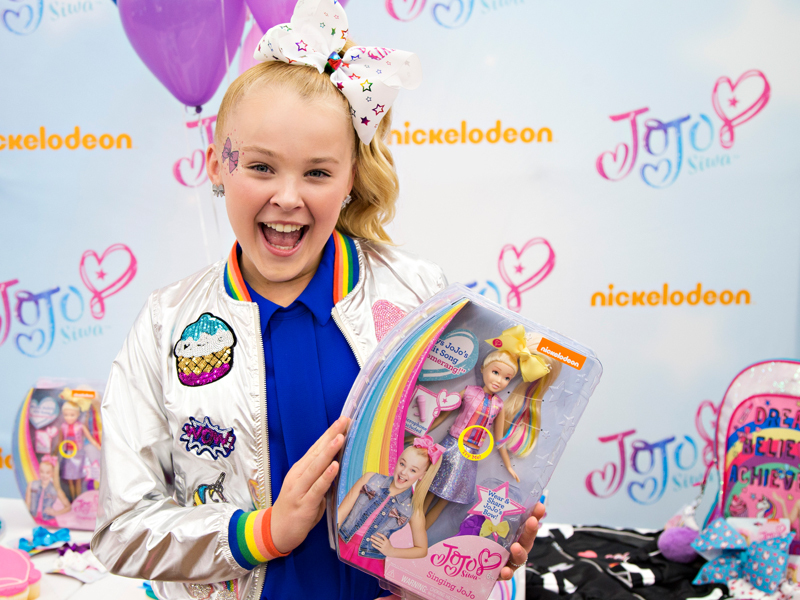 Joelle Joanie "JoJo" Siwa has turned her name, and face, into a brand. After rising to prominence on "Dance Moms," the 15-year-old dancer, singer, actress, and YouTube personality is poised to take over the world. With 7.9 million Instagram followers, 8.9 million YouTube subscribers, and millions of streams on Spotify, she's the next teen icon. But the teenager is also quite business savvy - Siwa has her own collection of hair bows and accessories at Claire's, a line of juices (JoJo's Juice), JoJo dolls, and much more. Celebrity Net Worth estimates her fortune at $12 million. 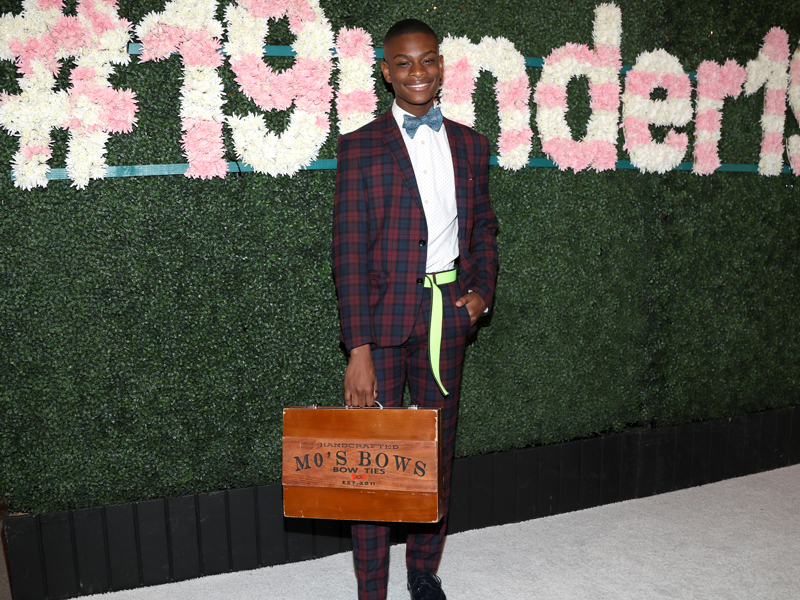 Moziah Bridges launched a bow tie business when he was just 9 years old. Bridges, of Mo's Bows, is turning 17 this year, and still expanding his bow tie brand. Bridges is officially the President and Creative Director of his business, which sells bow ties, neckties, pocket squares, and other apparel. Bridges appeared on "The Steve Harvey Show" and "Shark Tank," on which he successfully secured the mentorship of Daymond John - for free! In 2017, he signed a seven-figure, one-year licensing deal with the NBA, and is only planning to grow from there. As of 2018, he sold more than $600,000 worth of product. 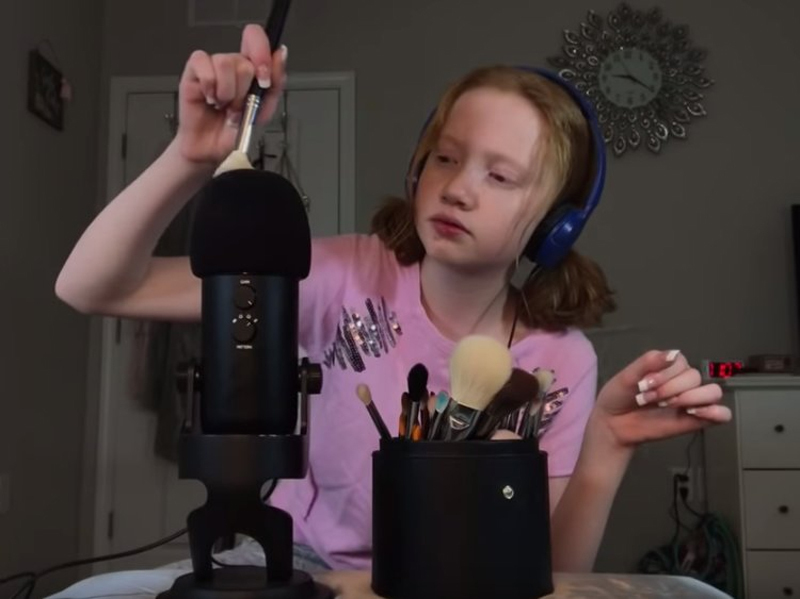 Makenna Kelly, a 13-year-old YouTube superstar who goes by "Life With MaK," makes around $1,000 a day. Kelly's YouTube channel, dedicated to ASMR videos, has 1.3 million dedicated subscribers. ASMR stands forautonomous sensory meridian response, and is a " a calming, pleasurable feeling often accompanied by a tingling sensation," usually triggered by sounds like whispers, or the sound of tapping one's nails on something. Business Insider reported that Kelly makes a reported $1,000 a day or more, just through her advertising revenue. This number is based on YouTube tracking site SocialBlade's projections. She also makes money through viewer requests: she was once paid $50 for a 10-minute video in which she chewed honeycombs. 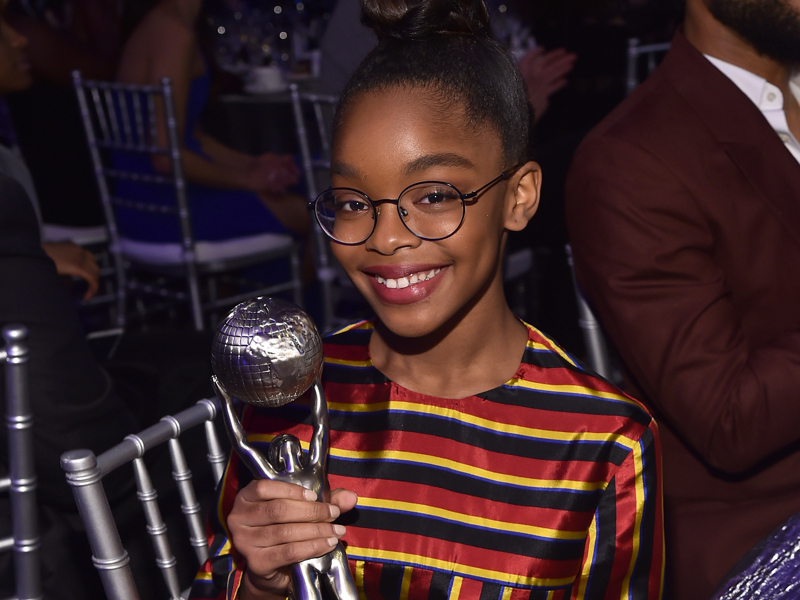 At 14, Marsai Martin is the youngest executive producer ever. In addition to stealing scenes on "Black-ish," Martin is both starring and executive producing the upcoming comedy "Little," making her the youngest executive producer in Hollywood history. The teenager has big plans for her future. "This is the first movie I have in front of the camera and behind the camera," she told ET before the movie had been shot. "And it's not gonna be the last." TMZ reported that her salary for the film is $200,000, with a bonus of up to $300,000 depending on how the movie does. That's a potential half a million dollars for one movie, plus her "Black-ish" salary, and the potential for sequels. Ryan Kelly founded Ry's Ruffery (formerly known as Ryan's Barkery), a high-quality line of dog treats, when he was 10. Kelly, along with his mom, appeared on "Shark Tank" to pitch their idea for a higher quality dog treat. They secured funding from Barbara Corcoran, and are currently selling their treats online. 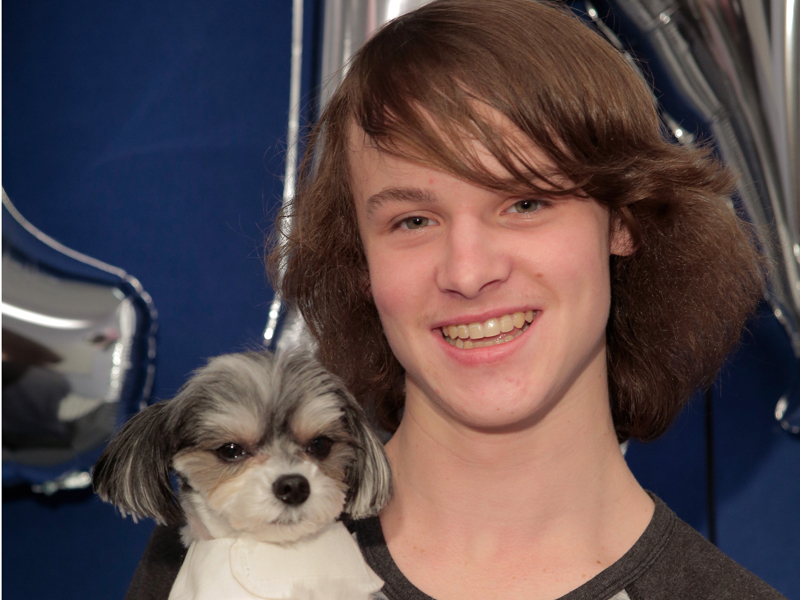 Kelly, now 14, was only 10 years old when he appeared on the show. Since then, the mother-son duo's profits have gone from $800 to six-figures, according to Inc.
Mikaila Ulmer, 13, has her own line of organic lemonade sold at Whole Foods. 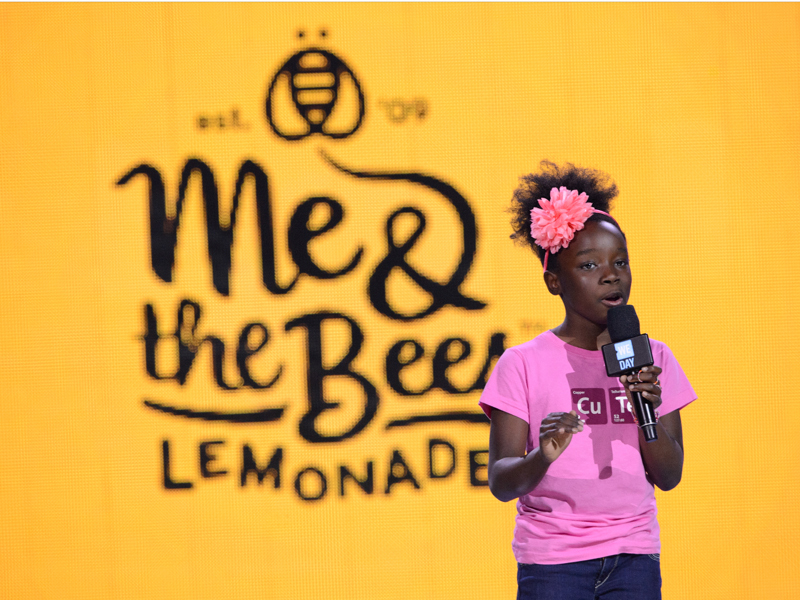 Ulmer started making lemonade to sell at her lemonade stand in Texas when she was only four years old. That product has since evolved into one containing honey and flaxseed, and into an entire company called Me & the Bees Lemonade. 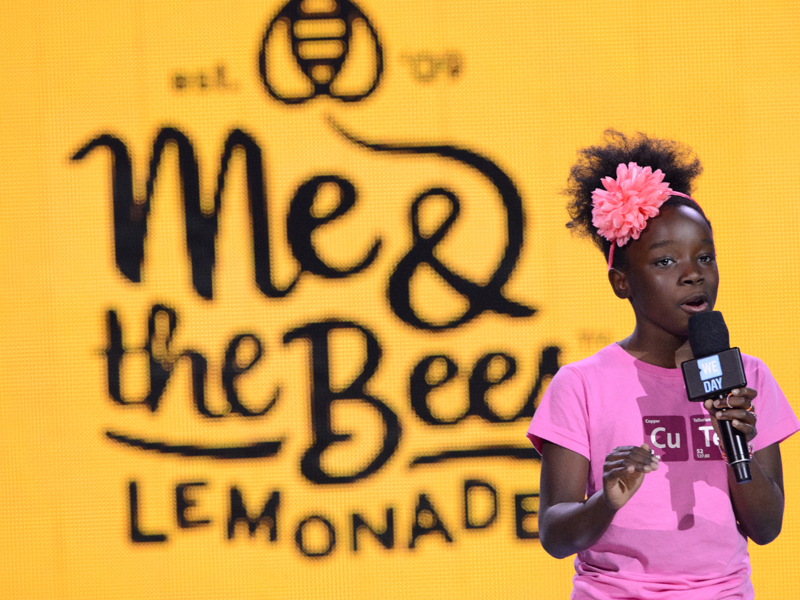 The company's big breakthrough came in 2015, when Ulmer was nine, and her lemonade got picked up by Whole Foods in a reported $11 million deal. Her business has since grown to include lip balm and other merch, as well as multiple different types of lemonade. Now 13, Ulmer, along with her co-CEOs (her parents), travels around the country speaking at entrepreneurship and leadership conferences. Ulmer has attracted more than a few high-profile investors. She received a $60,000 investment from "Shark Tank's" Daymond John, and a group of NFL players invested $800,000. 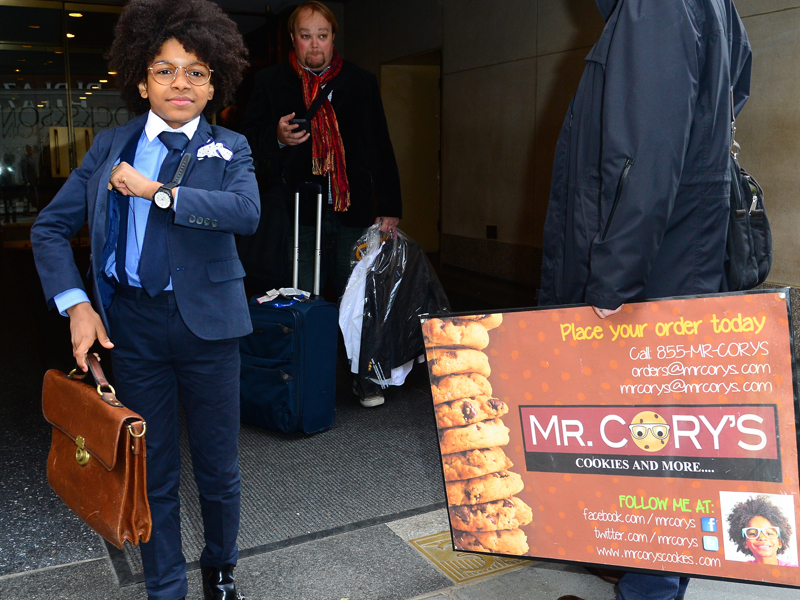 Cory Nieves is living every kid's dream by owning his own cookie business. Nieves, with the help of his mom, got into business when he was only six years old: he wanted to save up to buy her a car. He began selling hot chocolate around his community in Englewood, New Jersey, but soon decided to pivot to cookies. And so, Mr. Cory's Cookies were born. Today, the 15-year-old's company sells four kinds of all-natural cookies, and has worked with brands like, Barney's, Bloomingdales, J. Crew, Macy's, Pottery Barn, Ralph Lauren, Whole Foods, and Williams-Sonoma, to name a few, per his website. In 2017, Cory and his mother appeared on "The Profit," where they secured a $100,000 investment. The company also sold 50,000 cookies that year alone, for $15 a dozen. High-schooler Abby Kircher has an entire line of nut butters. In 2017 alone, Abby's Better Nut Butter saw 400% growth thanks to its distribution in grocery stores around the nation, according to Forbes. Kircher, at age 16, wanted to eat healthier, but realized that many peanut butter brands are loaded with sugar and oils: so she decided to create her own. Now, she's a 19-year-old CEO with a brand that offers five distinct nut butters: date pecan, coconut cashew, coffee almond, strawberry cashew, and honey almond. The business has expanded to merch and snack bars, and made an estimated $80,000 in 2017. Shubham Banerjee wasn't even a teenager when he invented a low-cost Braille printer that could "disrupt" the industry. When Banerjee was 12 and searching for an engineering project for a science fair, he discovered that less than 10% of blind people in America can read Braille, largely because Braille printers can cost around $2,000. After months of trial and error, he created Braigo, "a groundbreaking low-cost Braille printer-embosser." While it's still in the development phase, Braigo printers have been estimated to cost $350, around a fifth of the cost of a regular Braille printer. Banerjee has since co-founded a small company, Braigo Labs, and secured VC funding, becoming the youngest person to ever receive venture capitalist investment, according to CBS. While the exact amount is not public, it's estimated to be in the hundreds of thousands. Arvind Sodhani, who heads the firm that will back Banerjee, said of the printer "It's designed to reduce the cost of braille printers from $2,000 to $400; that's disruption."